The Michigan Chamber of Commerce is trying to distance itself from some – but not all – of the incendiary emails about a controversial 2011 state redistricting effort that were made public this week. Richard Studley, president and CEO of the powerful business group, this week tweeted his disgust over 2011 emailed remarks by Jack W. Daly, then chief of staff to former U.S. Rep. Thaddeus McCotter, R-Livonia. Daly wrote that he wanted to cram “Dem garbage” in southeast Michigan in “only four districts” to help Republican candidates in Michigan. “All Michiganders should be treated with courtesy & respect,” Studley tweeted Thursday. “In 2011 Jack Daly was a Congressional aide with no relationship to the MI Chamber. We were not aware of his negative remarks about Democratic voters then and categorically reject them now!" “The obvious objective – putting dems in a dem district and reps in a gop district,” Daly wrote to LaBrant and others in one 2011 email, which were cited in court papers that are part of an ongoing federal lawsuit challenging the state’s redistricting system. Brandon Dillon, chairman of the Michigan Democratic Party, told Bridge on Friday that Studley’s condemnation falls well short – since the new emails reported by Bridge show a top chamber executive participating in many of the discussions. “They are learning well from their friend in the White House how to lie with a straight face,” Dillon said. A screenshot from a lawsuit describing an alleged 2011 email exchange between GOP staffer Jack Daly and Robert LaBrant, then a senior executive with the Michigan Chamber of Commerce. LaBrant, who retired from the chamber in 2012, hasn’t returned phone messages this week. “It’s a fairly common occurrence to receive emails that people don't agree with,” Studley said. In the email Studley said he was criticizing, written to GOP consultant Jeff Timmer, Daly suggests stuffing “ALL of the Dem garbage in Wayne, Washtenaw, Oakland and Macomb counties into only four districts. Is there anyone on our side who doesn’t recognize that dynamic?” It’s unclear from the lawsuit if LaBrant of the chamber also received that particular email. Studley’s tweet denouncing Daly’s remarks did not mention other emails introduced this month as evidence in a lawsuit by the League of Women Voters of Michigan and 11 Democratic voters. The suit against Michigan Secretary of State Ruth Johnson alleges the 2011 state legislative and congressional maps are so gerrymandered that they violate the U.S. Constitution. The Michigan Chamber is not a party in the suit, but some of its emails involving LaBrant and Republican consultants have been unearthed in the court case. 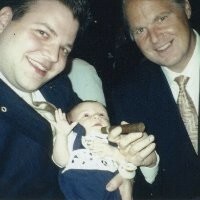 This is the photo on Jack W. Daly’s LinkedIn page of Daly, left, posing with Rush Limbaugh and a baby. 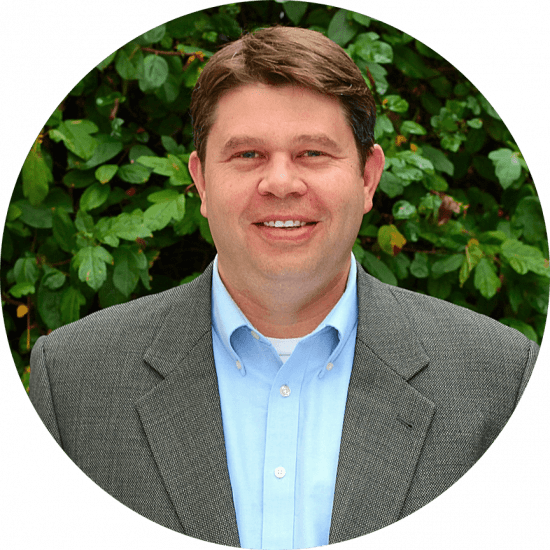 Daly’s former boss, McCotter, briefly ran for president in 2012 and resigned from Congress when his petitions for re-election were invalidated and several staffers were charged with crimes related to falsifying nominating petitions. Nor did Daly, whose LinkedIn profile features a photo of him and conservative radio commentator Rush Limbaugh holding a cigar to a baby’s mouth and indicates he is an attorney in North Carolina and chairman of Right Reach LLC. His wife, Kay Daly, was an unsuccessful candidate for Congress in 2016 in North Carolina. The chamber – and LaBrant – have been involved in redrawing political districts every 10 years. In Michigan, the political party in power generally controls how legislative districts are drawn in the state, a practice that has been criticized because it is vulnerable to partisan practices. The Michigan Supreme Court is weighing whether a citizen initiative by the group Voters Not Politicians that would create an independent commission to draw districts can appear on the November state ballot. The chamber’s political arm is helping fund a separate group, Citizens Protecting Michigan’s Constitution that sued to block the redistricting initiative from appearing on the November ballot. The chamber has also been heavily involved in helping to finance the campaigns of Republican-backed justices to the Supreme Court, including two Republican incumbents running this year. Republicans hold a 5-2 advantage on the high court, the same court that will deciding the redistricting ballot fight. Studley has repeatedly told Bridge and other media outlets his group doesn’t support gerrymandering. Brandon Dillon is chairman of the Michigan Democratic Party. Dillon countered that the emails show the depth of the involvement of the chamber in gerrymandering to favor Republican candidates. “It was enlightening to see them in print and how much they were cheating,” Dillon said of the 2011 emails. The GOP would like to just do away with democracy, voting, transparency. Just not needed and those kinds of things get in the way of making sure business and the rich get what they want. You need to ask some old time Democrats how they drew districts when they were in charge. Trying to gain or hold onto an advantage is not a trait of any particular party. Quite frankly, Democrats fell down on the job of trying to contest and modify districts in the last couple of re-writes. The Republican Party is corrupt and will do anything legal or illegal in MI to maintain the gerrymandering they created. This is an elitist attempt to stay in power, to hold women, children and people of color subservient. The MI chamber is fooling themselves by supporting and colluding with the Republicans. MI has the worst quality of life rankings than most other states, including education, environment, poverty, healthcare, roads. State government has no problem poisoning young children with lead with lead and no politicians have been held accountable. I am not sure how they sleep at night. No business will relocate to MI, with the current reputation. If Michiganders don’t wake up, the same things will continue. This is an illegal government, who only represents themselves. The Republican party in Michigan is the most corrupt I have ever seen it. Money has corrupted them and the Chamber of Commerce is part of the problem. Disgusted by their opposition to uprooting gerrymandering. They like a rigged election and I will not be surprised when the investigations into election tampering takes place and they are found to be part of the problem. I can no longer vote for any republican. Period. And these emails showed us who they are. Were these e-mails presented as evidence to the MI Supreme Court? A few years ago, I attended a state house transportation committee meeting. Before the meeting started, the Republican chairman came out from behind the desk, warmly greeting a person and ensured that he would get to testify first up. I was struck by just how fawning the state rep was with this person - you could call him a lickspittle and it wouldn't be hyperbole. The person testified with platitudes that could have applied to any legislation brought before any committee. Turned out the person was Richard Studley. Please go to https://mipetroleumpipelines.com to see information on Line 5 and the next two meetings of the Advisory Board in Lansing on August 6 and at Boyne Highlands on August 13. Public participation is needed ! There is much information presented that does not reach the public. Minutes of the meetings should be on the website but are not posted. My previous comment about the Line 5 pipeline relates to the Michigan Chamber because the Detroit Chamber allowed Enbridge a prominent place in the activities and venue of the 2018 Michigan Policy Conference. 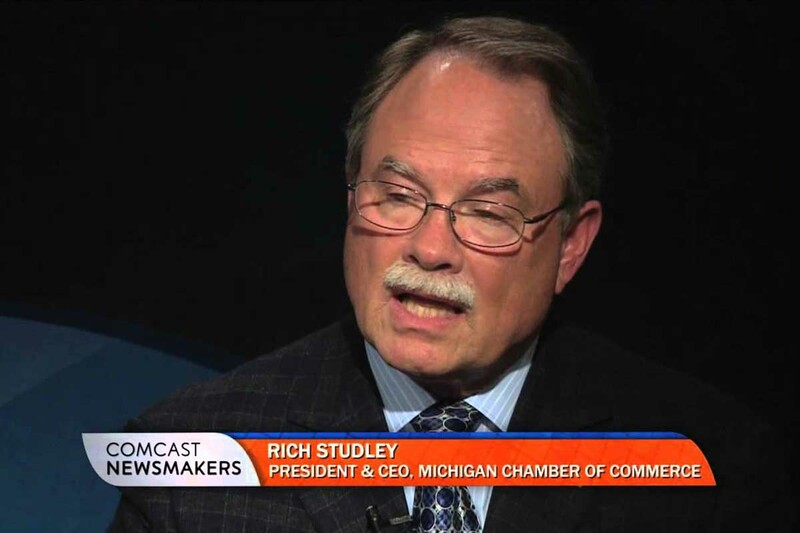 Studley and the Mi Chamber : The quintessential tea party stooges.